It has been said that the boards of directors of non-profit organizations are often composed of good—I will make that very good—men and women who nonetheless may make bad or occasionally terrible decisions as a board that none of the directors would make as individuals. And that sounds counter-intuitive. Why would individuals, who were theoretically elected or appointed because they possess strong positive qualities including the ability to analyze facts and data and make sound decisions, do the exact opposite while in a group of good people? Why indeed? And how does that apply to our undergraduate chapters? Mr. Rhetorical Question, may I present the Abilene Paradox? The Abilene Paradox is the creation of Jerry B. Harvey—now Dr. Harvey—who has contributed in many ways to the study of organizational dynamics. His Paradox theory has been used countless times to explain a simple concept—that people react differently when in a group, especially when they are in a leadership role. The Abilene Paradox occurred to Jerry when he was a doctoral student. He and his wife were visiting her parents in Coleman, Texas on a Sunday afternoon in August. Coleman is located about fifty miles southeast of Abilene. Jerry, not wanting to be branded as the whiny son-in-law, said, “Ah, okay”. His wife, knowing what was in store but also wanting to go along with the apparent majority, said, “Ah, okay”. His mother-in-law said, “Let’s get going if we’re going to go”. And away they went, each of the four knowing that the trip would involve a two-hour drive over dirt roads in an un-airconditioned automobile for a dinner that would be a tribute to gastrointestinal distress followed by another two-hour drive home. The trip and the food were worse than anticipated. After they arrived home, his mother-in-law reportedly said, “I don’t know why I let y’all talk me into that”. Jerry responded that he didn’t want to be in the collective “Y’all”—that he had not wanted to go in the first place. His wife agreed. His father-in-law then justified it by observing that his daughter and son-in-law seldom visited and he thought that they might want something different. He added that he would have been happy with a beer and leftovers served on the back porch. There you have it…the Abilene Paradox. Four intelligent people agreeing to a course of action that not one of them would have done as an individual…and to please others who in fact were not pleased. When board members fail to state their true opinions; when they misperceive the collective reality; when they will not challenge or question because they defer to older, more experienced board members or when they allow friendships, shared experiences or other real or imagined affiliations to affect decision-making—then the board of directors has just climbed onto the bus for Abilene, as Dr. Harvey notes in subsequent writings. Dr. Harvey also includes action anxiety (my interpretation is the reluctance by board members to pull the trigger or make a decision—“We need more information!”), fantasized risks, fear of ostracism by other board members and group tyranny as other aspects for the Abilene Paradox. And do those dynamics apply to undergraduate chapters? Perhaps more so than with a board of directors, because our undergraduates often have stronger perceived bonds. Friendships, roommates, “She gave me a ride home last Thanksgiving”, “He threw me a TD last week at the game”…all factor into the chapter version of the Paradox. One of the best arguments against the emphasis placed upon pledge class unity in hazing chapters is that we intentionally create our own version of the Abilene Paradox—we require our new members to think, act and in some cases speak alike, thus effectively snuffing individualism, critical thinking and initiative. When I served as CEO of my national fraternity I often saw that dynamic, especially during times that called for a significant decision. 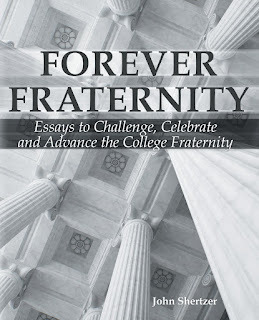 The brother who was stiffing the chapter on a large bill and up for suspension…the junior who was unsuited to serve as president but nominated…watch and listen as his pledge class lined up on the side of their former pledge brother because of blind loyalty rather than what was right for the chapter. What can we do as chapter leaders to prevent our version of the Abilene Paradox? First, we can create an atmosphere—a culture in our chapters—in which all members, not just older or more experienced members—can voice their opinions without fear of being ridiculed or mocked. Presidents and other officers: this is your area of control. Set the tone at meetings. Secondly, we encourage a culture of inquiry—that is, a culture of healthy debate. We ask for and listen to opinions and arguments. We don’t, however, waste the time of the chapter with repetitive arguments or duplicate comments that begin with, “I agree with ___” Chapter presidents, this is your time to guide but not control the discussion. Third…we get it right. That means that we may disagree with others but through that process of discussion and debate—attorneys often call it, “Discourse”, which is a good word for reasoned, respectful disagreement—we arrive at the best resolution. Mark Baltz is an official in the National Football League who lives in Zionsville, Indiana, and attends some of the weekly meetings of the high school football officials held in downtown Indianapolis. I am co-chairman of the Football Committee with Bud Klumph, a Sigma Chi from Arizona State, and we schedule Mark to speak to our 100+ officials each year. In his presentation Mark always notes that the biggest mistake he made in his career was starting a varsity football officiating crew with four friends. They were good officials…but they had difficulty speaking to each other in blunt and candid fashion. They allowed their friendships to get in the way of getting it right. As a football official, I understand that simple concept. We must get the call right for the players, the coaches and the fans, whether there are 200 or 8,000. Friendship, hurt feelings or perceived slights have no place in an effective crew. We cannot get on the bus to Abilene and agree with a bad call because we don’t want someone to feel hurt. As chapter leaders, you must encourage, prompt and indeed stimulate thoughtful discussion and discourse, especially about important topics or issues. Then, you must zealously safeguard the right of each member, regardless of age, seniority or status in the chapter, to speak to those topics and issues. You must insure that members feel comfortable challenging and questioning practices and decisions that in years past may have been no-brainers. Finally, you must help sisters or brothers find that “getting it right” place. Sometimes that means you must put aside your feelings about an issue or question. There is a difference, of course, between a legitimate issue and voting on an illegal activity such as hazing. That is one occasion when you must stand up and speak out. 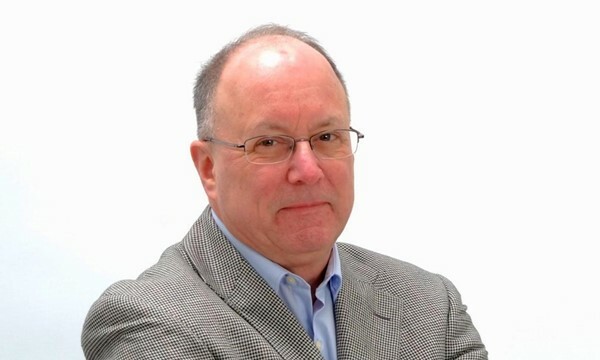 Dave Westol served as CEO of his national fraternity for eighteen years and now has his own consulting company, Limberlost Consulting, Inc., in Carmel, Indiana. He has served on the board of directors for FIPG, Inc. and as a football official for over 30 seasons. He can be reached at David.Westol@gmail.com. Leadership is an attitude that, we should develop in our personality and behavior. Most probably, people are facing different types of problems life lack of confidence, lack of decision making ability and any others, due to lack of leadership attitude. So, we need strong leadership skills.